Accurate, time efficient, Amir was very friendly! Efficient service, fees seem high, but they were quick to come and service. you were quick to respond. Everything was done in a timely fashion. Your service man was polite and respectful. Very helpful technician, very pleased with his work! 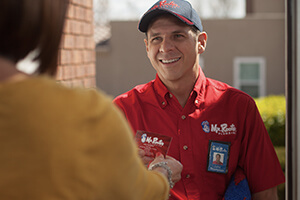 I have always had very good experiences using Mr Rooter, and highly recommend their services.